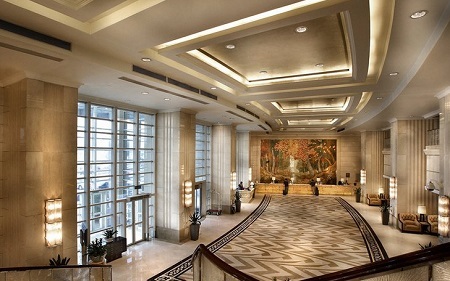 V-Continent Beijing Parkview Wuzhou Hotel is an expansive leading hotel near several attractions. Relax at the on-site health club that features a heated indoor pool, saunas, and traditional Chinese massages or dine in one of the six restaurants and bars. The hotel is ideally setup for business-minded travel with nine multi-functional meeting rooms, complimentary WiFi access, and a location adjacent to two Beijing convention centers. 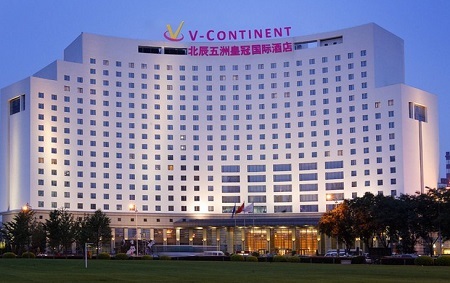 Impeccable service and convenient location make V-Continent Beijing Parkview Wuzhou Hotel the perfect place to stay. Boasting six restaurants and bars, the V-Continent Beijing Parkview Wuzhou Hotel brings together a plethora of international favorites, traditional Chinese dishes, and more. 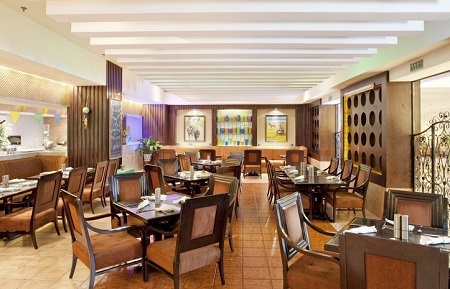 Enjoy cocktails at one of the hotel's bars including the Palm Garden Lobby Lounge. The V-Continent Beijing Parkview Wuzhou Hotel features many on-site amenities and activities such as an indoor pool, sauna, and steam room. Many of Beijing's most popular cultural and historic destinations are within a short distance of the hotel. Offer is based on a Single or Double Occupancyin a Standard Room. 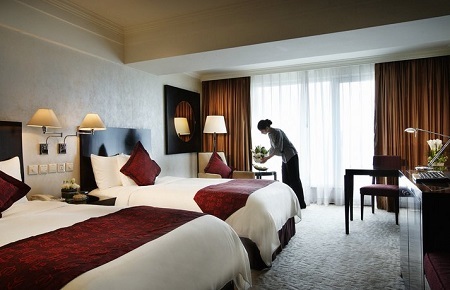 Presenting 475 guestrooms and suites, the V-Continent Beijing Parkview Wuzhou Hotel offers luxuriously appointed accommodations with lush linens and comfortable mattresses. These spacious accommodations come standard with many modern amenities such as complimentary WiFi and a high-definition web television.